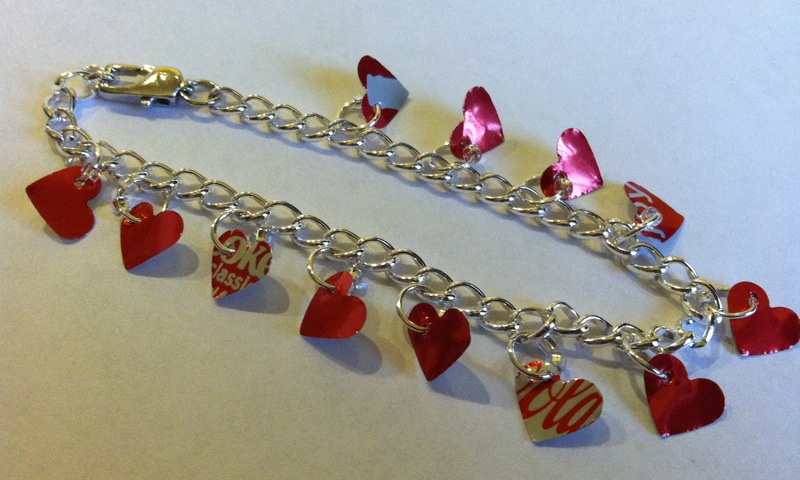 I promised to make something for my daughter from a Coke can and this is what I came up with and how I did it. I suggest you wear glasses to protect your eyes and maybe gloves would be a good idea. 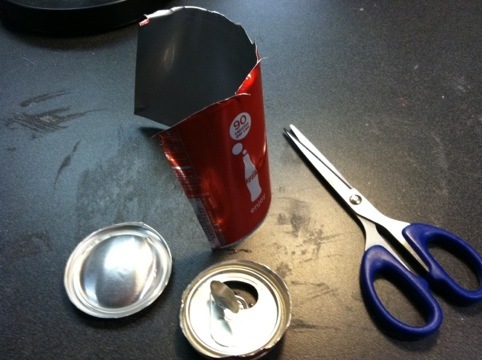 I use a pair of sturdy scissors and stab into the can on the side, cut around the top to remove it then down the side and around the bottom. I open and gently flatten my can and trim off the rough edges. 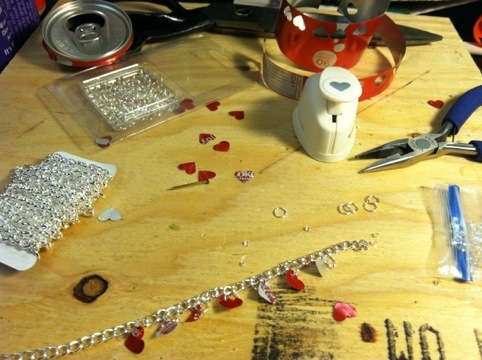 Next I used a craft punch to punch out a bunch of heart shapes – the edges are surprisingly not sharp, not even as sharp as a piece of paper! Using a small nail and a hammer I punched holes in the hearts, some of the holes had a slightly jagged edge that I just pounded down with a hammer. 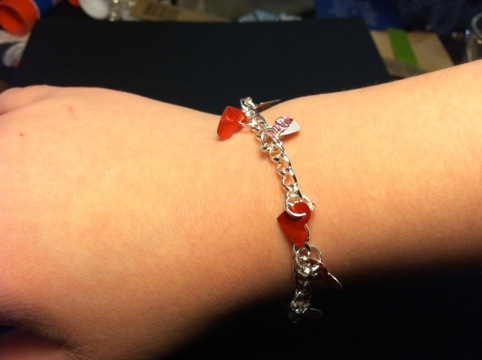 I used jump rings with a couple of seed beads on them to attach the hearts to the bracelet. This was an easy project that made my daughter very happy! Her favorite thing about it is that it jingles.